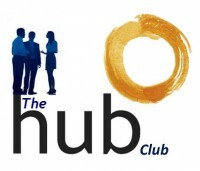 The hub Club at hub South West is holding our second annual Charity Golf Day on Wednesday 12th June at East Kilbride Golf Club, Chapelside Road, East Kilbride, South Lanarkshire, Scotland, G74 4PH. Last year we raised in excess of £14,000 for Shelter Scotland. The event will be in Texas Scramble format with teams of 3 or 4. Arriving from 8am for tea/coffee/bacon rolls and a Shotgun start at 9am. Two course lunch and prizegiving will follow at about 2pm. The cost is £95+ VAT per person or £350 + VAT for a team. We welcome all bookings - in 1s, 2s, 3s or as a 4-person team, and will endeavour to give you a choice of playing partners appropriate to the networking goals of the hub Club. Nearest the Hole, Longest Drive and Raffle prizes would be most welcome as we aim to sell raffle tickets and raise monies for 3 local charities - one each in Ayrshire, Dumfries and Galloway and Lanarkshire.